The Sony Xperia Z3 Compact was one of the best smartphones 2014 had to offer, placed at number 8 on our best Android phones list. Despite this, Sony's smartphone sales have been poor in 2014, and the Japanese manufacturer will be looking to turn this around in the new year. Here is what we know about the Xperia Z4 Compact so far. At this point, the price is up in the air. This probably won't be officially confirmed until just before the release, however the Xperia Z3 Compact pricing might give us something to go on. Currently sitting at 509 USD off-contract on Amazon, this is only around 80 USD cheaper than the Xperia Z3. Sony usually packs great hardware into its compact devices, so don't expect a budget price like most "lite" flagship variations. The eventual Z4 price will give a better indication of what we can expect. This is also still unknown, though we have heard it is going to fall later than the standard Xperia Z4 release (which is looking like March or April, 2015). According to the report by AndroidOrigin the Xperia Z4 Compact will be powered by a Qualcomm Snapdragon 810 chipset. This is one of the processors rumored to come with the Xperia Z4 and Xperia Z4 Ultra and is set to be one of the best of 2015. The screen will come in a 4.7-inches and will be full-HD like its predecessor, though it will also receive a boost in RAM compared to the Z3 Compact, coming with 3 GB instead of 2 GB. 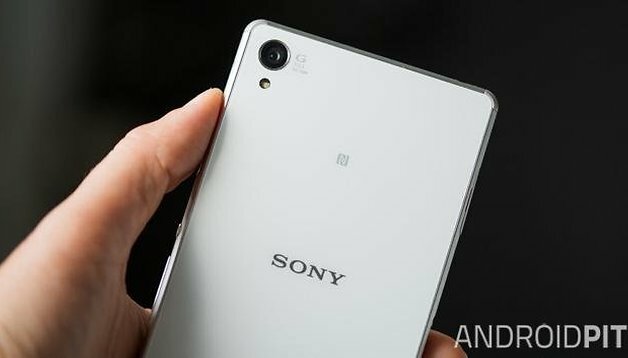 The remaining specs are said to also be very similar to what is expected of the Xperia Z4: 32GB internal memory, 20.7 MP rear camera and 5 MP front camera (with 1080p video), improved speakers, IP68 dust and water resistance, LTE Cat.9, Bluetooth 4.1, NFC, and wireless charging for its 3,000 mAh battery. To round things off, you can expect the Z4 Compact to come with the latest version of Android Lollipop. That's all we have so far on the Xperia Z4 Compact. Sony's smartphone sales haven't been Is this the handset you've been waiting for? Should take that glass back off & replace it with an aluminum frame!